Buddha Purnima, a holiday traditionally celebrated to commemorate the birthday of Gautam Buddha, is being observed with much devotion and spirituality at various places across the country. 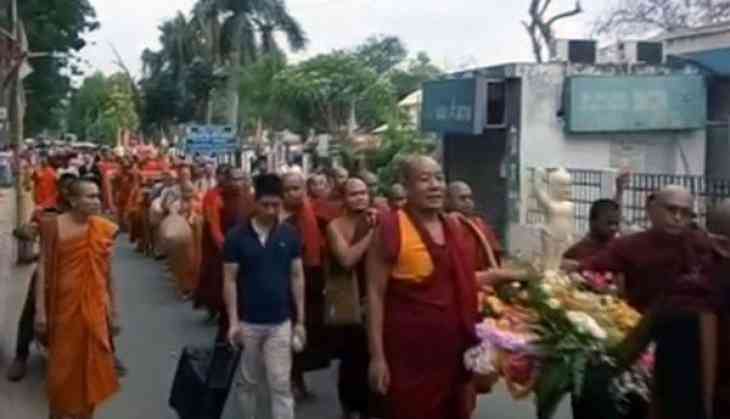 In the holy city of Gaya, around 1000 Buddhist monks from countries all over the world took out a peace march to mark the occasion. "A march has been taken out in order to spread the message of peace and tranquillity throughout the world," said an organiser of the peace march. In Sarnath, people took out a peace march. Earlier in the day, Bihar Chief Minister Nitish Kumar paid tribute to Lord Buddha at the Buddha Smriti Park in Patna. This is not only the day when Buddha took birth but also the day when he attained nirvana in Lumbini, Kapilvastu (currently in Nepal).